The former Secretary of State John Forbes Kerry hails from Massachusetts, a state that contains America's largest Irish Catholic population. As a practicing Catholic himself, even the best friends of Kerry have considered him an American Irish Catholic through and through. 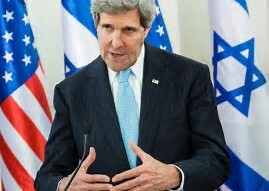 The discovery of John Kerry’s European Jewish roots has surprised many people, including the secretary of state himself. John Forbes Kerry??? Why is Senator John Kerry's middle name "Forbes"? The answer is because his mother is Rosemary Forbes, the beneficiary of the FORBES FAMILY TRUSTS.